The Fellowship grants Professor Orford more than $2.5 million to undertake research exploring the legal issues involved in intervention by external actors in civil wars, drawing on recent examples in Iraq, Syria and Ukraine. Laureate Fellowships are awarded to outstanding researchers of international repute who can play a significant leadership and mentoring role in building Australia's internationally competitive research capacity. 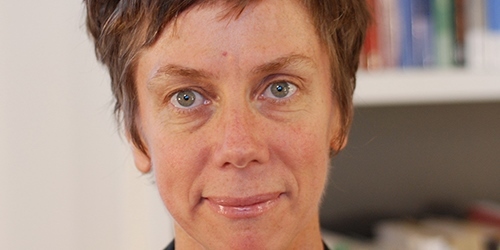 The Kathleen Fitzpatrick Australian Laureate Fellowship also recognises Professor Orford as an exceptional female researcher in the humanities and social sciences. As part of this award, Professor Orford will undertake an ambassadorial role to promote women in research, in addition to her research program. "I am excited by the possibilities that this program provides for Melbourne Law School," Professor Orford said. "The research itself will address one of the most significant problems in international relations for the 21st century – whether and under what conditions foreign actors can intervene in civil wars. The intensity of debates about the legality of US intervention in Iraq and Syria on the one hand, and Russian intervention in Ukraine on the other, illustrates the urgency of this question and the difficulty of finding general principles to address it." "The project will offer new ways of understanding how changing patterns and practices of intervention have reshaped fundamental principles of international law. The outcomes will make a significant contribution to ongoing public debates about the legality of intervention," she said. Professor Orford said the program will also provide her with the resources to build an interdisciplinary research team at Melbourne Law School. "Mentoring early-career researchers is also a core part of the Laureate scheme," she said. "The Laureate program will enable me to build a world-class team of scholars with the skills to evaluate the role and function of law in times of rapid social transformation, and work collaboratively across disciplines to address urgent global problems. Over the next few months, I will have the enjoyable task of putting together a team of internationally recruited postdoctoral fellows and doctoral students from the fields of international law, politics, and history." The team will also include a number of international collaborators, facilitated through a program of Visiting Professorial Fellows and two Kathleen Fitzpatrick Visiting Fellowships for exceptional early female early career researchers each year. "My program aims to consolidate Melbourne Law School's position as one of the leading institutions worldwide in international law, to increase the profile of Australian research in a dynamic and globally significant field, and to compete with the best research centres in Europe and North America," Professor Orford said. "The Fellowship program will provide the resources to develop sustained international research collaborations and to build a research program of the necessary ambition and significance to attract the most creative and committed scholars of the next generation."